A Northwestern student was found dead at his home two weeks ago. Twenty-two years old. The immediate question: was it suicide? "Who kills themselves at the end of May?" I said, reflecting the public's astounding ignorance about suicide, where much of what everybody believes is wrong. And at 22? It turns out, May is the the peak month for killing yourself. Evanston police are treating the death as a suicide. And suicide is the second leading cause of death for those under 24. Neither fact make sense. The weather is finally warm. A young person with his entire life before him. But as with so much about this ignored but important topic, it does make sense, only the sense is hidden. You need to dig it out and work at understanding. That's why most people don't do it. It's easier to be afraid of sharks. Those who study suicide view the warm weather increase — true all over the world, May in the Northern hemisphere, November in the South — as stemming from the same springtime invigoration that causes some to clean their garage. "It is a harsh irony that the partial remission which most depression sufferers experience in the spring often provides the boost of energy required for executing a suicide plan," British public health expert Chris Thompson told The Guardian. "Spring is a time for new beginnings and new life, yet the juxtaposition between a literally blooming world and the barren inner life of the clinically depressed is often too much for them to bear." After reading Roxanne Roberts' story (Washington Post 6/9/18) of her father's suicide, I started to think that only really unpleasant people committed suicide, but on second thought it seems that there is no common thread. Depression seems almost omnipresent, but not always. And I think that the reason most people don't want to explore the subject very deeply is that they're afraid they'll find something inside themselves. 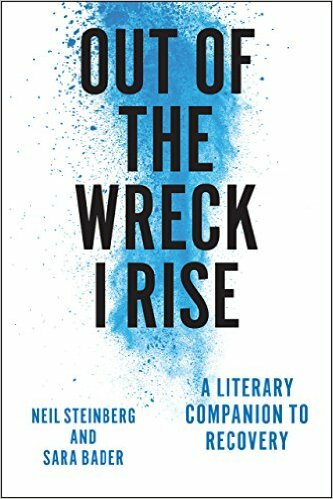 I applaud Neil for his courage in delving into suicide and attempting to disseminate what knowledge we have of its causes and its prevention. I thank you for the clarity of these deeply affecting insights. My friend had been depressed for literally decades. He was going to therapy and taking medication, but it didn't seem to reach him. Clinical depression is a horrible affliction, every bit as devastating as physical illness, and it's still poorly understood. About 10 years ago, I saw the results of a man who hanged himself. He was hanging from a back porch from a rope less than two feet long. Then eight years ago, I saw an old man  lay down in front of a Metra train. Why I don't know, but I was told a couple of days later, his family came to the site & insisted he tripped. No, he didn't! He dropped to his knees & stretched out over the rails & was sliced into three parts. The conductors on the train took it as fairly normal, but I really doubt the engineer did, he never had a chance to even blow the train's horn, let alone stop! The engineer is the real victim, along with the thousands of Metra passengers on the Milwaukee North Line that were delayed for hours, due to some absurd policy that the county medical examiner must come out & certify the suicide as really, most sincerely dead. I've read that in the New York subway & the Hudson River tunnels, if someone, even a railroad employee is run over & killed, the body is immediately removed & the trains are running in 15 minutes, as hours long delays would cause a disaster of too many people on the platforms, possibly leading to additional deaths from overcrowding. It seems to most of us an unfathomable act, but is not always explainable. The two suicides in my personal experience both seemed to have everything to live for and neither showed outward signs of depression. Friends and relatives were appalled but puzzled. The difficulty in ascribing motivation on a macro level was demonstrated by the first sociological treatise on this (or any other)social phenomenon, Emile Durkheim's 1879 paper "Le Suicide." Durkheim noted a higher rate in Lutheran Germany than Catholic France and concluded that being Catholic was a barrier. Later analysis concluded that Catholics and Protestants actually killed themselves at comparable rates, but authorities in Catholic communities were less inclined to denote questionable deaths as suicidal because of the social stigma the church assigned to the act. The CDC also found that long-standing troubles often culminate in suicide—mental illness, substance abuse, unemployment, financial setbacks, failed romances or relationships. Veterans, especially those who served in Vietnam, were far more vulnerable. The NYT story also touched on the growing pressures of modern life: changing family dynamics, moving away from friends and relatives, lack of social support networks, and worldwide studies that find the middle-aged to be unhappier than any other age group. 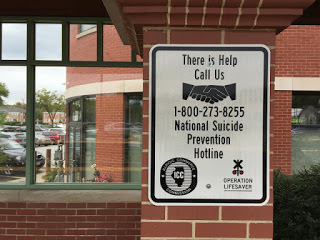 And today, a decade later, suicide rates for Americans 55 to 64 are 40 percent higher than the U.S.average. Their year of birth would be roughly between 1954 and 1963, with 1958 (age 60) being the midpoint. These statistics, and that much-earlier CDC study, seem to indicate that the most vulnerable demographic age cohort is that of the Baby Boomers, especially those born during the Fifties and early Sixties. Why the despair among so many middle and late Boomers? I suspect that much of it stems from how so many foolishly thought they’d stay “forever young.” And how they were going to "change the world." Instead, the world changed them. That world also begins to disintegrate over time, and with age. The culture changes, mostly for the worse. Parents die, as do friends, relatives, icons, heroes, and role models. The world appears coarser and meaner and harsher. Worst of all, one tends to become more irrelevant and ignored. Old and in the way, as some rock star once put it. And if life hasn’t come close to early expectations, and you believe that nobody likes you and that you’re really something of an asshat, that can really throw you, especially if you’re an aging, privileged, white male. When every day becomes the same day, and it isn’t getting better and time is speeding up and getting shorter, some folks just decide to “go out West.” Maybe they're panicking, like Dorothy, because the red sand is running out of the hourglass, faster and faster, and they just want to go back to Kansas. Maybe modern life is too complicated and more people are unable to adjust. I've known several people who took their lives and only one suffered an obvious trauma in his life that explained his action. The others are beyond mystery.